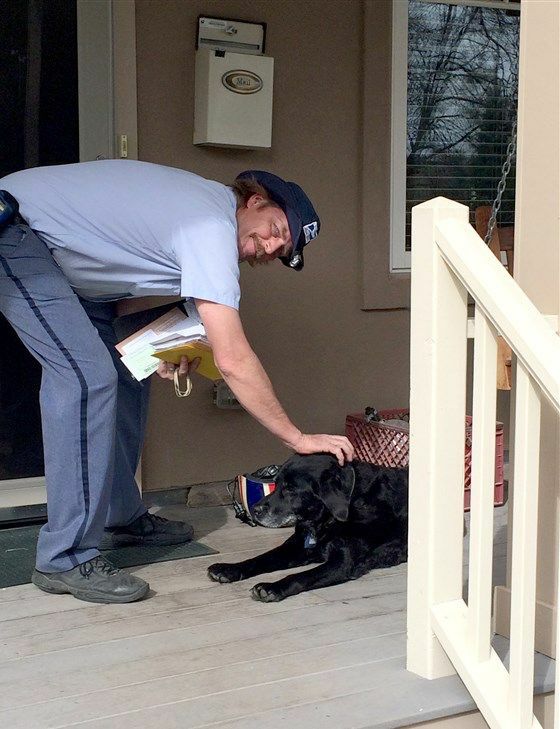 Mailman Jeff Kramer has long been friends with Tashi, a 14-year-old black Labrador who he greets daily on his USPS mail route in Boulder, Colorado. The two have liked each other from the first time they met. But when Kramer saw how much trouble his canine buddy was having with the front stairs of his home, Kramer decided to do something to help. 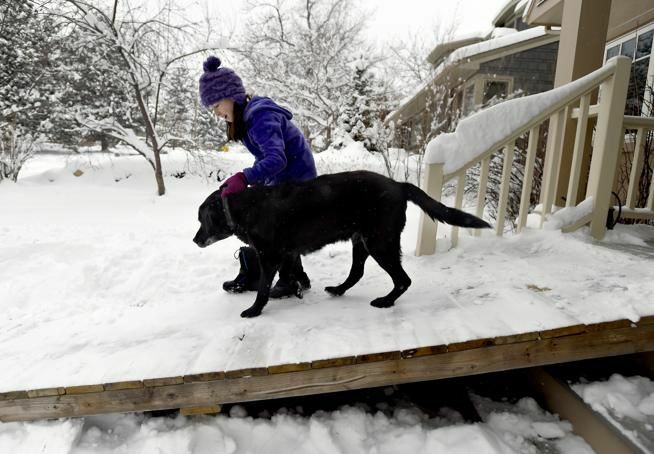 To make mobility easier for Tashi, Kramer came to the house on his day off to build the elderly dog a special ramp. This tool would allow Tashi to walk in and out of the house unhampered by the stairs. The dog's owner, Karen Dimetrosky, was very moved by Kramer's gift, but not surprised considering the connection between mailman and dog. "Tashi adores Jeff,'' explained Dimetrosky. "He has always wagged his tail and pulled us over to his mail truck. 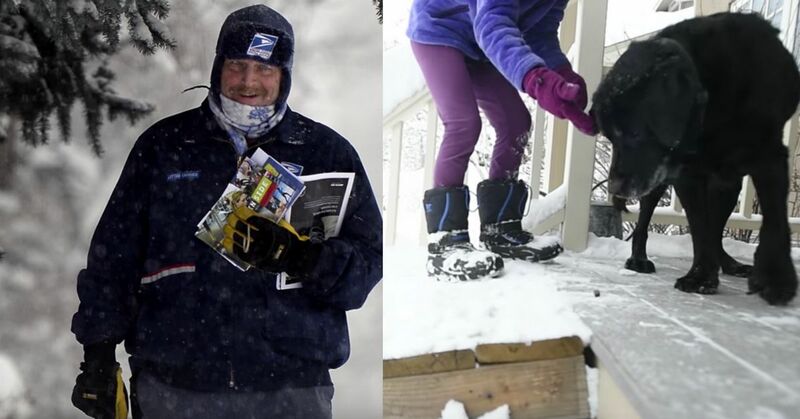 He will now get off his bed and come greet Jeff at the door when he delivers a package." Even more touching is that the ramp's lumber came from the ramp Kramer had built years before for his elderly dog, Odie, who has since passed away. "I didn't realize how much trouble (Tashi) was having until I saw them actually carry him up the stairs,'' Kramer said. "I remembered my dog having the same problem, and it's sad." Kramer came to the house on his day off to construct the ramp himself, a gesture that Dimetrosky appreciated beyond measure because of the quality of life it has given back to Tashi. "The ramp has helped Tashi tremendously,'' Dimetrosky said. "He can walk in and out of the front door and down to the yard independently. He potentially prolonged his life because my husband and I both pulled our back out by lifting Tashi on and off the porch. The mailman is pleased that he can still see his canine friend waiting for him on the porch when he delivers the mail. Recently, Kramer attended Tashi's fourteenth birthday party, a testament to the bond between these two souls. "It's amazing," Dimetrosky said. "Jeff will come knock on the door and Tashi will get up off his bed and walk out to greet him." 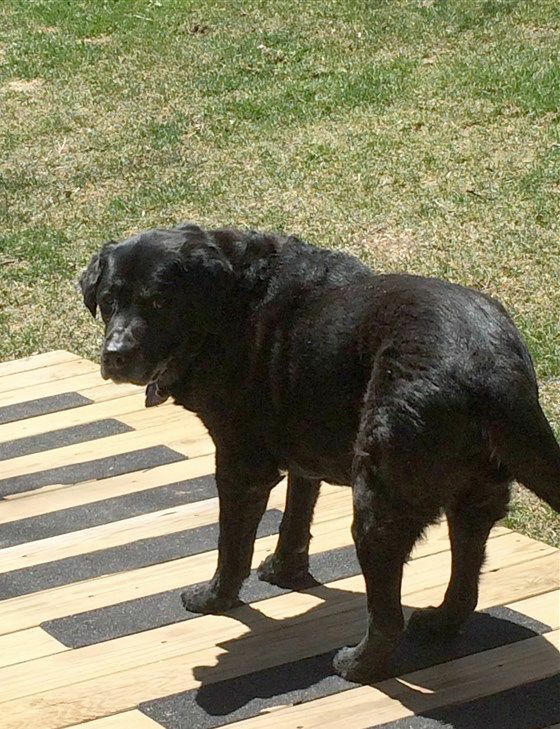 Although Tashi is in the twilight of his life, he has a loving family, a wonderful mailman, and a ramp that allows him to be able to move and sniff and explore. Dimetrosky stated the ramp has "enabled the kids to take him out front also and given Tashi a sense of independence and dignity as an older dog. 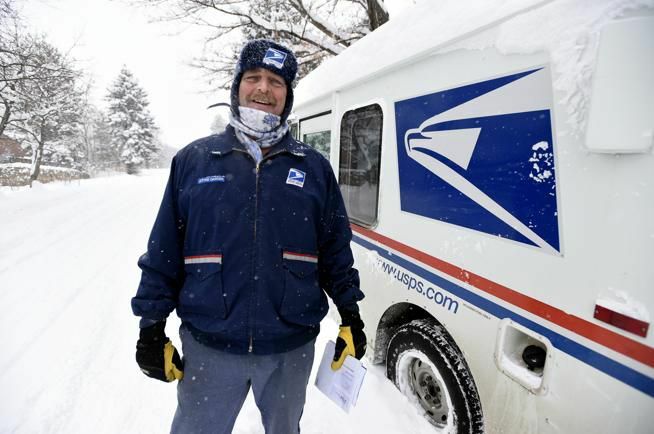 Jeff is just a compassionate letter carrier who possesses a love for animals." Watch the video of Kramer and Tashi below, then share this heartwarming story of this friendship with your friends and family on Facebook.